The veins that underlay the area around Yarnbury had been exploited since the early eighteenth century, and had proved to be very productive over a long period as technology improved. These veins extend into Bolton Gill, which was part of the Hebden Liberty, and although there had been sporadic attempts to extract the lead the broken nature of the ground discouraged the early miners. However, in August 1853 William Winn of Harrogate and Joseph Osborne of Leeds formed a partnership and were granted a lease for mineral extraction in Hebden, initially for three years, but with an option to renew. They extended their partnership to include George Crossland, a merchant from Huddersfield; William Shaw, a wool merchant also from Huddersfield; and George Cook from London and Joseph Thomas from Liverpool (later of St. Albans in Hertfordshire), who were joint partners in a London wool broking company. 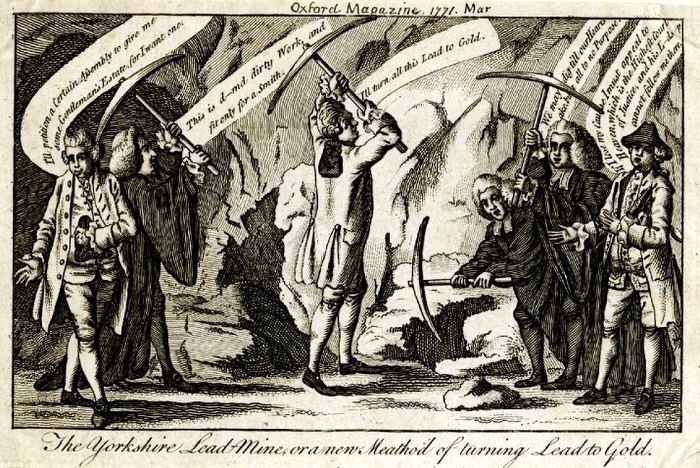 These were all men successful in their own fields who wished to cash in on the opportunities offered by the Yorkshire lead mining industry. The partnership was dissolved in November 1854, and the Hebden Moor Mining Company established as a Cost Book Company, with the six partners being the first directors. In August 1855 a further £500 was raised from the shareholders. Initial investigations must have been promising, for in August 1856 the lease was renewed for a further twenty one years and assigned to the company. Winn and Osborne were each given 10,000 £1 shares as payment for their interests. Winn had sold his share by 1857, and Osborne his by 1862. The main centre of activity was in Bolton Gill itself. Initially Top Level was driven at an altitude of about 300 m, and a dressing floor laid out at the portal. Bottle Level was then driven in at the level of the valley floor, and Bolton Gill Engine Shaft sunk to aid pumping and servicing. In the end there were three interconnected levels that extended into the hillside for about a kilometre. A road was driven up Hebden Gill including the still-standing Miners' Bridge; a large dressing floor was built close to the entrance of Bottle Level; two reservoirs and associated leats were constructed on the moor; and a small smelt mill built further down Hebden Gill adjacent to Hole Bottom. During the first few years, the enterprise was successful, with production ramping up steadily to almost 300 tons in 1862. Unfortunately, the Bearing Grit which contained the productive veins dipped to the east, and eventually they dropped below the entrance of Bottle Level which was used to drain the mine. Three years later the production was down to under 36 tons, and thereafter never produced more than a relative trickle. No ore extraction was declared after 1872, so it can be assumed that operations had ceased by then. Steel cables used as a power rope up Hebden Gill were sold to William Bell, the local blacksmith, to be used in the construction of a suspension bridge over the River Wharfe where they may still be seen today. In 1873 in one final effort to retrieve their fortunes, the company began to drive a level from the village of Hebden, some 90 m lower in altitude than Bottle Level. This was intended to intercept the veins far to the east, hence opening up a vast new area. This was a bold enterprise, as they would knew that they needed to drive the level for two and a half kilometres before getting any return. In 1877 a further 21 year lease on the mineral rights was taken. However, the Beevor and Cockbur veins were found to be barren of ore when they were finally reached in June 1888, and the venture was abandoned. Hebden Moor Mining Company commenced liquidation proceedings in March of the following year, and by June James W. Close, the appointed liquidator, was advertising the plant in the Mining Journal.